Feel free to bring a birthday cake and any additional food or drinks. Please let the birthday party host know if you would like to order any additional pizzas. We supply all standard paper goods but you can decorate or bring in your own themed paper goods. Painting parties are a unique alternative to your ordinary birthday party. You will WOW all the parents when they see what their child will come home with. 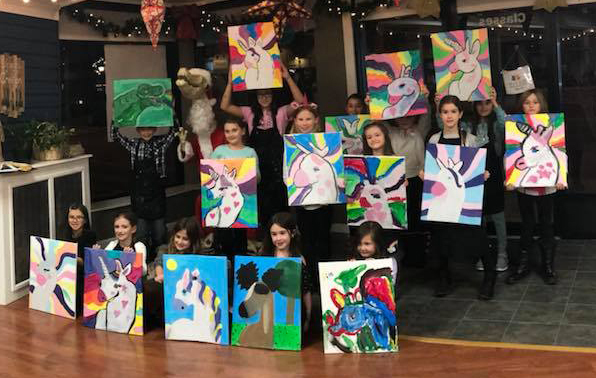 A painting party is an actual art class so the children will learn many different painting skills & techniques while having a blast with their friends! During our parties YOU get to choose what to paint from our art gallery! Our kids paint Parties includes 60 minutes of painting step-by-step with a professional artist. Children will be painting on 12" X 12" stretched canvas with acrylic paint. All painting supplies included. Dream catchers have been used by native people for ages to ward off bad dreams and help for a restful nights sleep. Native Americans use art as a way to express their culture and style by making these dream catchers unique the same way our kids will during this party. The children will learn about the Native American lifestyle while using various tools & materials to create their very own unique dream catcher! 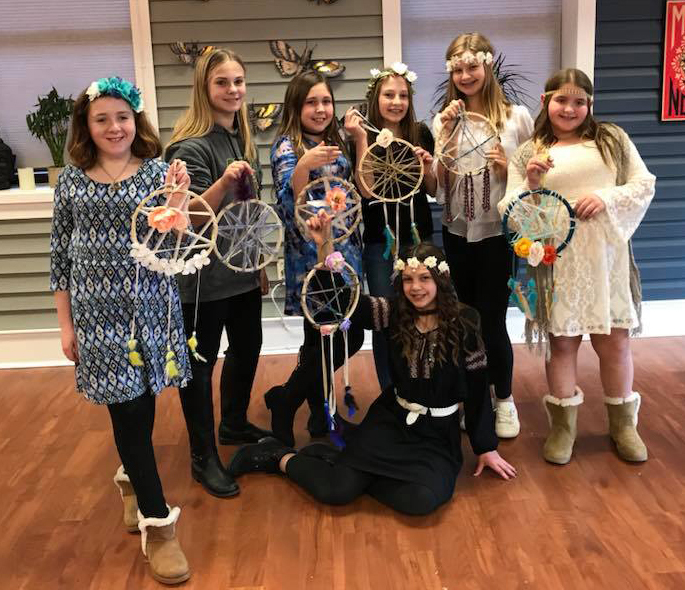 Our Boho Birthday was created to give kids an opportunity to explore ways to be creative and personalize their style all while hanging with their friends! 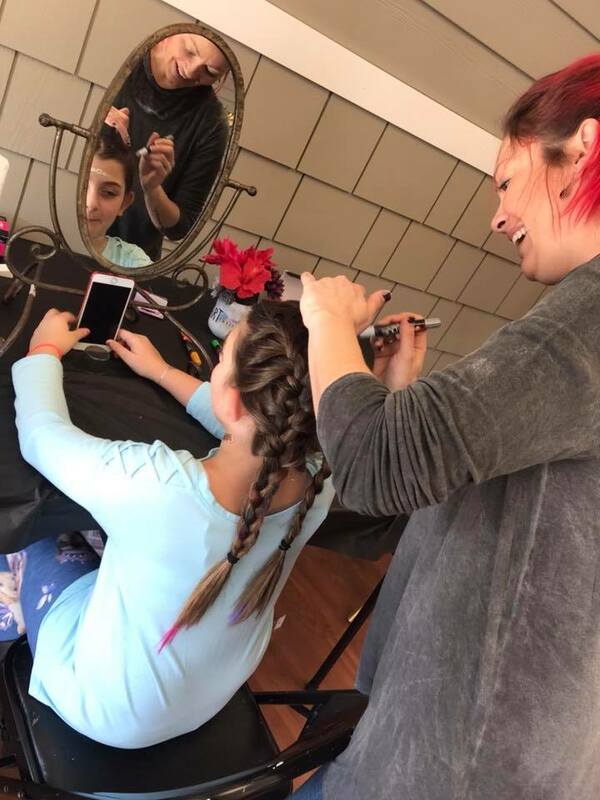 This is a great way for kids to bond with each other while embracing their own unique style! • Choose ONE from category B. Who doesn't love slime? It's fun, creative...AND MESSY! That's why we offer in studio slime parties so you don't have to worry about it in your house! During this party kids will make 2 batches of different slime. We use White glue for 1 batch and clear glue for the other. Let us know if you have a theme you would like us to stick with and we will create a slime batch just for you! Once you learn the recipe you can choose what colors you want and add some textures like glitter & foam balls to make it unique! 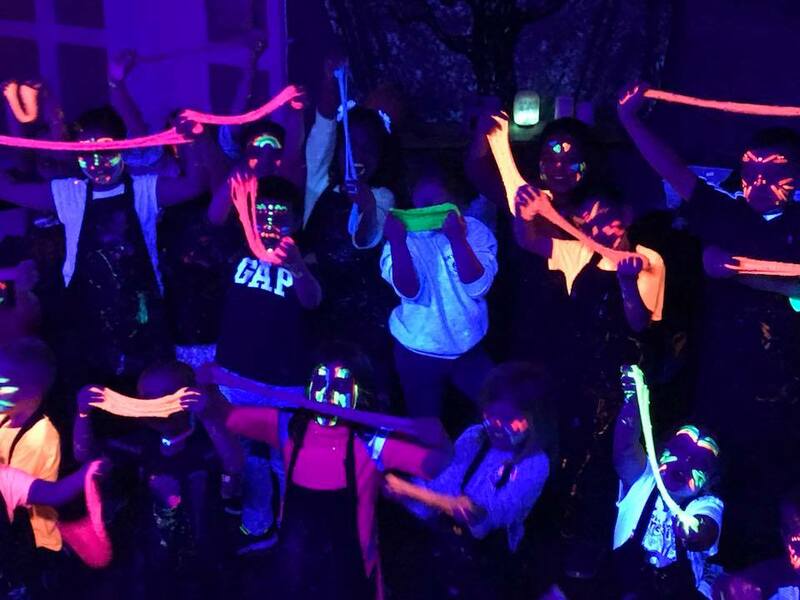 Black Light Slime Parties are only held in the evenings and include black light face paint for an additional $1 per child. Slime is fun to make but what's even more fun is adding a little bit of magic! 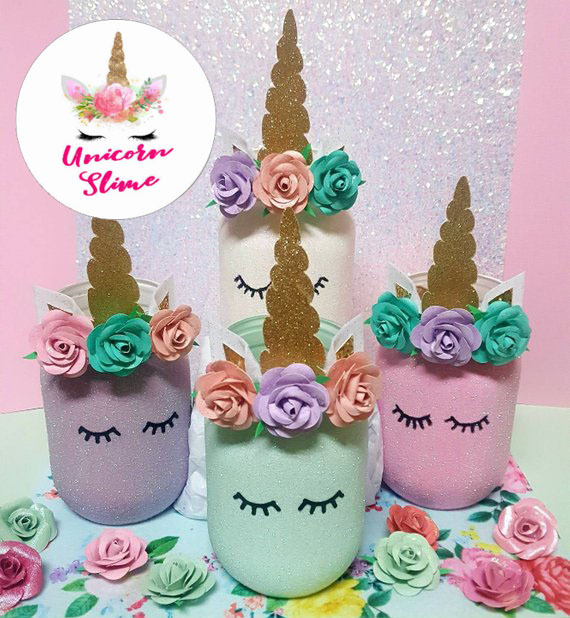 For you little unicorn lover we offer a special unicorn slime birthday party! 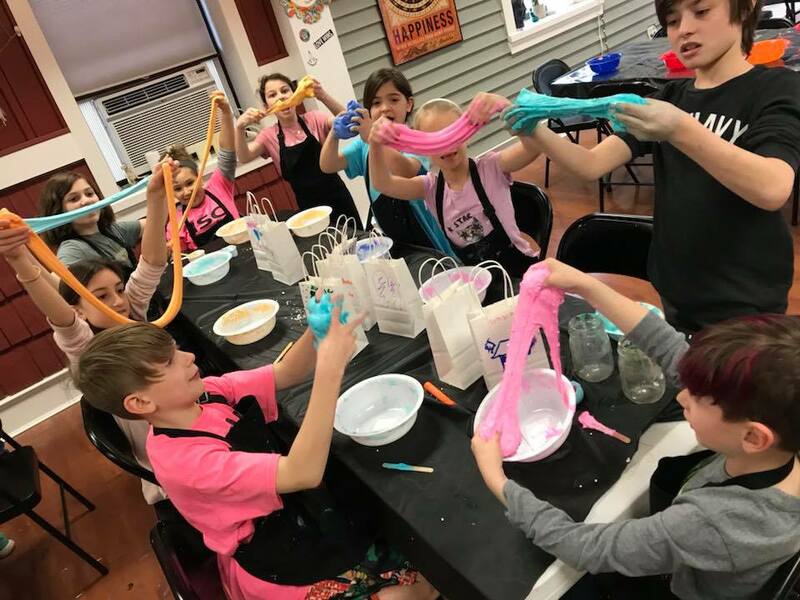 This party includes 1 batch of slime and a slime container that each child will get to create themselves as well as colorful hair extensions! For our our little monsters who like to get creative and MESSY we offer our monster slime party! During this party each child will turn their slime containers into crazy monsters! Party includes 1 batch of monster slime and colored mohawks for all boys and colored hair extensions for girls.